For entrepreneurs, coming up with an idea and starting a new business can happen with a blink of an eye. The challenge comes when money starts heading out the door for expenses such as office rent, internet costs, paying employees or contractors, when revenue starts coming in the door and staying up to date and compliant with the ATO. A very small business may get away with living off spreadsheets or free online accounting tools to get you by but from my experience working with a number of start ups, there are some very clear differences between the businesses that fail and the ones that get past year one. Challenges that can occur from incorrect bookkeeping from day one! Not invoicing your customers correctly or on time leading to lost income and poor customer experience. Losing important receipts or not allocating then to the correct expense accounts, which could mean paying to much tax or not being able to justify the expense to the tax department. Incorrect preparation of your BAS. You will pay either too much or too little to the ATO. Both will result in you being out of pocket somewhere down the line. Wasted time being spent by yourself or an employee on record keeping, data entry mistakes and liaising with external groups like the ATO. Surely, your time is more valuable doing other things like selling your products or services. Unable to correctly reconcile business loan accounts. Very costly when you accountant needs to come in and determine what is right or wrong or worst case you are audited. Money down the drain when an external bookkeeper or accountant needs to fix up your mistakes, when it could have been down correctly the first time. 5 Tips To Help Get Your Bookkeeping Right From Day One If you are going to do it yourself, then educate yourself. Find a bookkeeping course or pay for some training from people who know what they are doing. Find the right online accounting software program. It can only cost as little as $29 per month to have a complete accounting package that can do all your invoicing, tracking expenses, attaching important files like receipts and BAS preparation. Set your chart of accounts up correctly. Have a chat with your accountant if you have one. You will be charge by your accountant at years end to make changes if you just go with what you think is best. Prepare your BAS correctly. This will save you time and money. Don’t take it for granted that your revenue and expenses have the right tax code associated with each transaction. If your accounting software allows it, run some detailed general ledger reports to make sure everything is in the right place before lodging with the ATO and setup matching rules when importing your bank transactions to save yourself time. Find time each month to actually sit and review your profit & loss reports, balance sheet, and cash flow. A great way to keep on top of how you are performing and it will also highlight issues in your bookkeeping that you can have someone fix straight away. If you have any other tips that would also help please feel free to leave a comment. 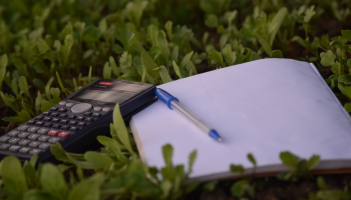 Accounting is not as simple as adding and subtracting numbers. In order to save costs, some small businesses decide to handle their own accounting, which may not be a good idea. 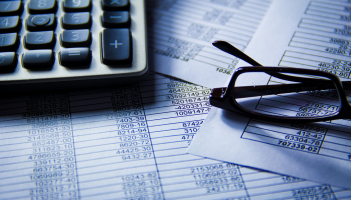 Accounting mistakes are costly, and could also lead to the failure of the business. Financial mistakes can stunt your business growth, clog cash flow or damage relationships with suppliers, customers, staff and other entities you're dealing with. To avoid these scenarios, here are 7 common accounting mistakes that business owners should watch out for. Whether it's calculated or inadvertent, these errors could prove detrimental to your business. 1.Trying to do everything on your own. Come on, you're not Superman. As a business owner, you might be used to wearing many hats, but accounting should be left to the experts. It's fine if you're just starting out, but as your business grows, you'll realize that this work is time consuming and strenuous. Learn to delegate tasks. Your time is valuable and by having someone else do your accounting, you are freeing up much of your precious time. This way, you can focus on what really matters for your business, and that's growing it. 2. Going for the cheapest. As Red Adair said, "If you think it's expensive to hire a professional to do the job, wait until you hire an amateur". Don't go for the one with the cheapest rate because a person's rate usually reflects his or her quality of service. If you think you saved money by hiring cheap, you're in for a headache. It could also lead you to costing more money in the long run. Spend a little extra if you want quality work. 3. Mixing business with personal finances. This is a sure way to mess up your finances. It will be difficult for you to monitor cash flow if you are using the same credit card or bank account for your personal and business purchases. Open a separate bank account or credit card for your business and run all your expenditures using this business bank account. It makes bookkeeping concise and organized. 4. Not using the latest accounting technology. Are you still using Microsoft Excel to compute payroll or worst still a really old version of MYOB? Accounting software and online tools make your accounting easy and fast. Time consuming processes like budgeting and bookkeeping are done automatically, allowing you to spend more time on your core competencies. These tools also weed out errors and inconsistencies, saving your business time and money. Take advantage of these technologies which can help your business processes run efficiently. Or better yet make your accountant and bookkeeper an admin to your software and view your balance sheet in real time. 5. Throwing away receipts. In this world where everything is digitized, people often think that receipts and other paper trails are useless. Well, they still count. Keeping receipts provide you with answers to any mistakes or gaps in your accounting records. If there's any inconsistency, all you have to do is go back to your receipts and trace where you went wrong. Receipts are also important in validating the numbers on your financial statements. If you really don’t want to have any paper left in your office and love storing everything store in your computer. Then try an online program such as Entryless where you can take a photo of your receipt, the program scans it straight into your accounting software via the app on your phone. Simple. 6. Focusing on the short term. With the flurry of day-to-day business operations, it is easy for business owners to completely forget about the future. Business owners are usually focused on keeping track of current numbers that they fail to think about how to use these numbers for future growth. Professional accounting also provides forecasting future growth and identifying potential risk from current financial decisions. 7. Hiring the wrong person. Never let your brother-in-law or cousin do the accounting for your business. Hiring the wrong person can lead to financial problems that will haunt your business for years to come. Choose someone who has thorough knowledge and years of experience in business accounting. Working with the right accounting professionals can help you avoid errors that are detrimental to your business. Choosing the best professional accountant for your business is a crucial decision because you are trusting that person with your financial future. Whether you're hiring a firm or an inside accountant, it is important to choose someone who can help you strengthen your financial function and position your company for growth. Are You Getting The Most Out of Your Cloud Accounting Software? GST reporting is a requirement for every small business owner. Cash and accruals are both applicable in the process of reporting and the small business owner can pick either method. Accrual basis can be advantageous for a small business because the latter might lack cashflow. But that's only one side of the story in the cash and accrual battle. Are you thinking about switching between cash and accruals? This article will help you understand the difference and pick the right one for your small business. We’ve noticed that business owners sometimes get confused when their BAS amount payable is considerably higher or lower than what they are expecting. Usually, this happens when they report GST on a cash rather than an accrual basis (or non-cash). For most businesses, a BAS is largely for GST, PAYG withholdings (employee taxes withheld) and PAYG instalments (company tax instalments). GST is calculated as the GST owed to the Australian Taxation Office (ATO) by the business (GST collected on sales made) less GST owed by the ATO to the business (GST paid on purchases made). The ATO gives small business owners the option of reporting GST on a cash basis if they wish. Normally a client’s accountant makes this decision for them when they register their ABN for them. Typically, accountants choose cash as the basis of GST reporting because this benefits the majority of small businesses. What's the difference between cash and accruals? The difference between cash and accruals is actually very simple. Accruals measures a transaction by the date that it took place. For example, the date of a sales invoice or the date of a purchase invoice (or bill). However, sometimes payment doesn’t take place until days, weeks or even months later. This payment date is the cash date. In other words, if you’re running reporting on a cash basis, you’re reporting transactions on the dates that the cash was received for the sale, or the cash was spent on purchases. So it can sometimes occur that many sales are made in a given period, but that customers haven’t paid for them at the end of the quarter (for most businesses, the BAS is lodged quarterly). This would mean that you report less GST on sales on your Business Activity Statement for that quarter than your sales actually reflect, which would ultimately lead to you paying less GST this quarter and a bit more next quarter, (assuming that your customers pay you). Consider this while choosing between cash and accruals. What are the benefits of both cash and accruals? While debating between cash and accruals, in the firs case the benefit to the small business is for the cashflow. If you haven’t yet received the cash, (and the cash that covers the GST that you owe to the ATO on the sales you’ve made), then it can be difficult for businesses to have the cash available to pay their BAS obligations. There are a small number of businesses that can benefit from reporting GST on an accruals basis. An example is a business that needs to pay for their goods or services up front, (often COD or 7-day payment terms), but offers extended payment terms to their customers. In this scenario, they’ve spent money on purchases, and thus on GST, but they’ve not yet collected cash on the sales that they’ve made. So they want to be able to get a refund from the ATO for the GST that they’ve spent, (via purchases), without having to give the ATO the GST on the sales that they’ve made, but not yet collected. Due to the lag between paying expenses and receiving income, this kind of business can potentially struggle with cashflow. Where things go wrong in cash vs accruals battle Check your software financial settings and make sure that it matches your chosen GST reporting method. Refer to a previously lodged BAS for this information. If you didn't use a professional to set up your software, these settings may have been completely overlooked. There are some small businesses that prepare their BAS using Excel. If you’re using this method and you’re calculating your GST obligations using your bank statements, then be sure to check that you’re registered for GST on a cash basis. If not, then your bank statement does not form the correct basis for calculating your GST obligations. Although you could use your bank statement as a starting point, you would need to include in your spreadsheet the date of the invoices (sales) or bills (purchases), and this would mean including transactions in your spreadsheet that have not yet appeared on your bank statement as at the end of the BAS period. It also means that cash that has come into or left the bank account early in the quarter may have been reported on last quarter’s BAS, and thus does not need to be included in this quarter’s BAS. The accruals method, although easier to work with when you’re using accounting software, is actually a little bit more challenging to figure out when you’re using Excel. Should I switch between cash and accruals? If you're overthinking between cash and accruals too much, you'll love to know that it is possible to switch between cash and accruals reporting for GST purposes, but this is a little bit trickier because it means including or excluding certain transactions that you would ordinarily not report. If you are going to make this change, be sure to discuss this with your bookkeeper or accountant first, and get them to help you prepare the BAS during the changeover period. That being said, in your battle of cash and accruals, make sure to talk to an expert who can help you make the right decision. Have you already decided between cash and accruals? When starting a business, you need your accountant to offer certain services, such as business structure advice, accounting system advice and setup, and tax/compliance services. 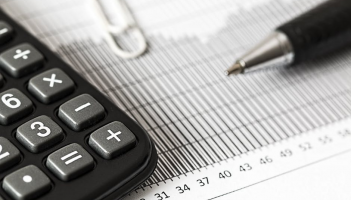 After you've established your business after some time, you may need a new set of skills or services from your accountant, like budgeting and cash flow forecasting. Take time to consider the traits you want in an accountant and how much you will have to pay him/her. Above all, make sure you are comfortable enough to talk to them at any time. Choosing an accountant that's right for you and your business can be tricky. 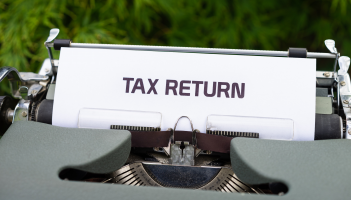 Traditionally, accountants looked after the tax and compliance matters for businesses. They are what I call tax accountants, as they prepare annual financial statements, income tax returns and Business Activity Statements (BAS) to report GST and Pay As You Go Withholding (PAYG) on wages. In recent years, and due to the advent of cloud accounting systems, progressive accountants have expanded their services to provide business advice and management reporting for their clients. There is also a small but growing group of CFOs, some of whom are also accountants, who specialise in business advice and management reporting. There is a clear divide between traditional and progressive accountants. Traditional tax accountants tend to focus on recording historical finance data while progressive accountants and CFOs focus on the future, using the history as a guide. As your business grows and your needs change, it may be necessary to review and change accountants to get the best support during every stage. Starting A Business: What you need from your accountant When you’re starting out in business, there’s so much you need to know, and you may find yourself out of your depth while being completely at the mercy of your advisors, mentors, or accountants. Thus, it’s important to do your research when hiring an accountant. Ask around for recommendations from other people who’ve already established their businesses. You should be looking for the following services at a minimum: 1. Business structure advice There are four options to structure your business: sole trader, partnerships, trusts, and companies. There are pros and cons to each that you need to understand before settling on a structure to suit your requirements. 2. Accounting system advice and setup All businesses regardless of their structure must keep accounting records. Your accountant must be able to recommend the right one within your budget as well as help set it up. He or she can assist you in using the system so you can keep costs to a minimum. Using a cloud accounting system such as Xero means you don’t need to keep your records in spreadsheets or invoices in the proverbial shoebox. Everything is online, so you will never lose a receipt or invoice. 3. Tax and compliance services This is mandatory for any business and includes basic tasks such as preparation of BAS and income tax returns for the end of financial year. If you’re hiring people, ensure the accountant knows all the regulatory obligations such as payroll tax and PAYG Withholding. Ideally, your accountant should assist with budgeting and cash flow forecasting before you start the business. They are crucial to help steer your financial position in the early years. Often, these tasks are overlooked in the excitement of starting a business and complying with tax obligations. Established Businesses: What you need from your accountant Once you’ve got your business up and running, chances are your needs and goals will change dramatically. Whether you are trying to survive through a tough time or thrive and grow the business, now’s the time to dig into the numbers to steer the ship right. You should be looking for these services: 1. Tax and compliance services This is the bread and butter of every business to make sure you don’t end up on the wrong side of the tax man. Your accountant should keep up with the latest rules and changes so you can maximize your tax concessions. 2. Budgeting and cash flow forecasting Annual budgets must be regularly reviewed and updated throughout the year. By creating a budget and cash flow forecast, you are setting goals that you can work towards and provide a basis for accountability to your team. 3. Management reporting This is crucial to understand how your business is faring. Have your accountant prepare monthly management reports that track important KPIs tailored to your business. These reports help you detect issues before they become major problems such as an erratic cash flow. It also keeps your eye on the target when you’re growing your business or cutting costs. 4. Business advice This goes hand in hand with the management reports. Schedule monthly meetings to review the results together with your accountant, get financial advice and determine appropriate actions to take. As your business continues to grow and expand, you may also be looking for help with exit strategies, succession plans for family businesses and management teams, and advice on a myriad of decisions that you will need to make along the way. What traits should you look for in an accountant? When choosing an accountant, look for a person with good communication skills and who shows a keen interest in your business. You need to feel comfortable that you could talk about anything and everything without feeling judged or intimidated. You want to feel that your accountant cares about you as a person and can develop a long-term relationship. They don’t necessarily need to have all the answers to tax or other technical questions. If they have a network of experts to consult, they should be able to provide you with the right advice. I believe that it is more important today to have an accountant or CFO who has in-depth business knowledge and skills to help you start, run and grow your business than an accountant who is the best tax advisor. An accountant with a good business acumen is worth their weight in gold; they’ll help you survive terrible times and grow your business properly. Meanwhile, an expert tax accountant can manage your tax obligations and deal with any issues. By choosing an accountant with good business skills and has access to tax advice, you will get the best of both worlds. 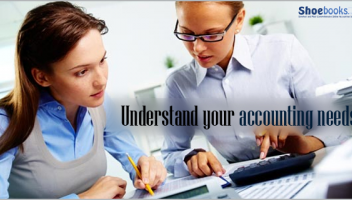 Furthermore, study what accounting system your accountant uses. The way forward for businesses is to use cloud technology, where everything is secure, backed up online and accessible from many devices. A good accountant should be looking at cloud solutions. Not only is this the future direction but there are significant efficiencies gained by your accountant. Those benefits such as time saved, efficient organization, and accurate financial reports are reflected in the fees you’ll pay. What price point should I be looking at? The old saying “if you pay peanuts, you’ll get monkeys” applies to accountants just as it does to any other industry. Make sure you interview at least three accountants and get quotes from them. Ask for a monthly fixed fee agreement so that you know your costs in advance. This is ideal as it helps with your cash flow by spreading your costs over the year. Take Your Time Take your time when choosing an accountant. Finding the right one for you and your business will make a massive difference to this often least understood pillar of your business. Consider finding an accountant or CFO who focuses on management reporting and who can give you sound business advice to help reach your goals. If you’re unhappy with your current accountant, it’s not hard to find another who can understand your business and propel it forward. Above all else, find an accountant whom you feel comfortable talking to and can pick up the phone anytime to get advice. A great accountant will feel like your biggest supporter in business through the good and troubled times. Every business, regardless of their state of progress and size should keep accounting records. Fortunately, the world of Internet and high tech allows for easier integration and use for all savvy business-owners through a lot of cloud accounting systems. Get a fresh insight on the benefits, how-tos and reasons for using cloud accounting systems to keep track of your company’s finances. Every business needs to keep accounting records. I’m not talking about the shoebox of receipts to give to a bookkeeper or accountant at the end of each quarter to prepare your Business Activity Statement (BAS return). I’m talking about a full accounting system. The internet has enabled the creation of cloud accounting systems like Xero, systems that have been created from the ground up with the primary goal of making it easier for savvy business owners to do it themselves. Over the past few years, MYOB and Quickbooks and a plethora of others have now launched their versions of cloud accounting systems. But just like everything else, all cloud accounting systems are not created equal. Having made the decision to use a cloud accounting system, and you should, the next step is to find out more about the options. Benefits of Cloud Accounting Systems 1. Time saving Bank and credit card transactions are automatically entered into the system on a daily basis, eliminating 90% of the data entry time required by desktop software 2. Accessibility Cloud accounting systems are available anywhere on any device with internet access. This means that you can access your numbers whilst on holidays (not always recommended, but in many cases a necessity). 3. Easy on the cash flow There’s no upfront cost, just a monthly fee which allows you to effectively pay what used to be an annual fee in easy monthly amounts. 4. No tech knowledge required There’s no need for IT support as there’s no installation required, nor are there any upgrades that require your input, it’s all done for you by the system. 5. Easy to use From the interface that is designed for you, the business owner, to the automation of entries and easy customisation of invoice templates, these systems are designed to make accounting simple. 6. Up-to-date With the automation of bank entry, it’s quick and easy to keep the system up-to-date. 7. Business snapshot With the use of a dashboard as the first page you land on when you log it, you can easily see your key numbers. 8. Integration with other business systems Cloud accounting systems allow for integration with various other systems businesses use on a daily basis, eg CRM, booking systems, project management, shopping carts, timesheets and the list goes on. There are also Industry specific systems that will integrate too. 9. Mobile app With the mobile app it’s easy to quickly reconcile your bank account whilst sitting at breakfast or on public transport going to work in the morning. 10. Real time collaboration This allows your advisors to have access to your information to make sure you are on track. It also means that your advisor can access your data whilst on the phone when you have a query or are seeking advice. 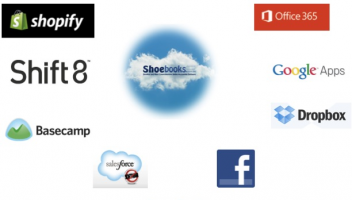 If you’re using desktop software or a shoebox for your receipts, now is the time to switch to a cloud accounting system. In my book Connected Technology, I identified 17 questions you need to ask to determine which system is the best for you. In summary the key questions are: What industry are you in? Do you have inventory? Do you have a Point of Sale system? What other systems do you use in your business? Are any of these online? Do you transact in multiple currencies in your business? Do you use or need a project management system? What system does your accountant support or recommend? Who will be doing the data entry and reconciliations? Setting Up Your Cloud Accounting System Setting up a system is a one-off process which you can do if you want to take the time to learn how to do it. However, I recommend that you get it set up by a bookkeeper or accountant so that it is done properly. The small investment to set up a cloud accounting system is well worth it in the long run, as is investing in training on how to use the system. DIY or Done For You? Once you’ve got the system set up and had an initial training session, you should do the bookkeeping work in your new system yourself. I have undertaken this process with all my clients over the years and encourage them to maintain their accounting system themselves at least for a year or two. Janine Allis, Boost Juice and Shark Tank, has written about her experiences with bookkeeping and how she has benefited from the early days of doing it herself with the lessons learnt then standing her in good stead to this day. Now when Janine was doing her bookkeeping she would have been using an old desktop system and not had the benefit of the automation we have today in cloud accounting systems. The time saving using a cloud system versus the desktop is 50% – 75% of the time. It just isn’t as onerous as it used to be and the majority of businesses are able to reconcile their bank account within 10 to 15 minutes each day. Once you find you’re spending more than 20 minutes a day on maintaining your accounting system, then it’s time to consider getting a bookkeeper to take over these processes for you. But bear in mind that a bookkeeper may only want to reconcile your accounting system on a weekly, fortnightly or monthly basis and this will mean that your system is not up-to-date every day. Once you do decide to outsource this work, try and find a bookkeeper who will do the reconciliations on a daily basis for you so that you can maintain the integrity of your data. This is especially important when you have outstanding accounts receivable and need to be following up your clients or customers for payment. In Summary If you’re not already using a cloud accounting system, switch now. Get an expert to set it up for you and then do it yourself for at least a year or two. The knowledge you gain about how your business runs and what the numbers mean will be invaluable to you for the long term success of your business. The most effective way to find this direction is through KPIs or key performance indicators. You cannot have the same set of KPIs for all businesses as they vary across industries. For instance, standard KPIs such as number of clients and percentage sales revenue might not be the right indicators for a seasonal business apart from the peak season. Nevertheless, KPIs are important for these businesses too. To find the KPIs that suit you best, you need adequate statistics in hand so that you set meaningful standards of comparison. These numbers can only be got when you can organize data and also compare them with other businesses in your realm. If you have an accounting and bookkeeping software, this effort becomes a breeze. It helps you to organise your data in a manner in which you get instant analysis. Of course, you might have to have an add-on to enhance this function in your business management applications. The Right KPIs Take Your Business in the Proper Direction Let’s take a scenario where you suddenly see a decline in sales. Isn’t it important to know the reason behind this? If you have set proper benchmarks and KPIs through your business data, finding the real problem behind drop in sales becomes easy. As a result, you can quickly take corrective actions to put your business back on track. Classifying KPIs for Your Business and Setting them Up The most effective way to find this direction is through KPIs or key performance indicators. You cannot have the same set of KPIs for all businesses as they vary across industries. For instance, standard KPIs such as number of clients and percentage sales revenue might not be the right indicators for a seasonal business apart from the peak season. Nevertheless, KPIs are important for these businesses too. To find the KPIs that suit you best, you need adequate statistics in hand so that you set meaningful standards of comparison. These numbers can only be got when you can organize data and also compare them with other businesses in your realm. If you have an accounting and bookkeeping software like Xero, this effort becomes a breeze. It helps you to organise your data in a manner in which you get instant analysis. Of course, you might have to have an add-on to enhance this function in your business management applications. The Right KPIs Take Your Business in the Proper Direction Let’s take a scenario where you suddenly see a decline in sales. Isn’t it important to know the reason behind this? If you have set proper benchmarks and KPIs through your business data, finding the real problem behind drop in sales becomes easy. As a result, you can quickly take corrective actions to put your business back on track. Classifying KPIs for Your Business and Setting them Up All this talk about KPIs is a waste if you have no idea how to differentiate various processes and set KPIs for them. Let’s look into some of these in some detail. Product/Service: For a business owner, a product or service that does not perform is a waste. For instance, if you are a retailer who has stocked a particular product for long and if it is just not moving, it is not only eating up your space but also your investment. When you have several products, it becomes tough to analyze which product is performing and which is not. An business analysis software lets you instantly identify such products. It automatically analyzes information that is recorded in Xero and gives you a clear picture. People: If you are seeing that your workforce is not generating expected results in spite of continued efforts, then you have to look into things that are beyond what is obvious. If you had already set KPIs for training, there is a good possibility that your employees would function optimally in a live business environment. Another important KPI is employee turnover. An adequate KPI in this realm lets you get a grip on the employee turnover. Remember that it is not enough to maintain a particular number of employees in your organisation. You need a workforce that is well-versed with your organizational goals and principles. This is only possible when you have reduced employee turnover. Marketing: Not enough can be said about this integral process of any business. To know whether your marketing is yielding results, you need to be able to evaluate the effort. Remember that a CRM software can help you records all your proposals, presentations, bids, and unsolicited business inquiries. On the other hand, it also records the sales conversions that you achieve. Now, all you have to do is adopt an add-on that can successfully analyze this data and give you the marketing performance. Processes: Your business might have several processes that are linked to various departments. Evaluating a particular process becomes almost impossible without the aid of software. You might have come up with a process for accounts receivable and think it is foolproof. But has the thought ever crossed your mind that the amount due to you and not yet received is as good as lending your customers an interest-free loan? With an accounts receivable management software, you can quickly analyze the average aging process of receivables and improve upon this time. A cloud-based business application, also allows you to glean through the data from any device that can be internet-enabled, so you can monitor the workflow efficiency from anywhere. In fact, it allows you to improve upon your workflow processes so that your business performs better. Place: Each of your business area needs to have KPIs if you want to run your organization effectively. On top of that, you need to set goals for each KPIs. Once you do that, an as entrepreneur, you need to create KPI dashboards so that you can monitor the performance against the set goals. You need a tool that allows you to view results frequently and seamlessly. 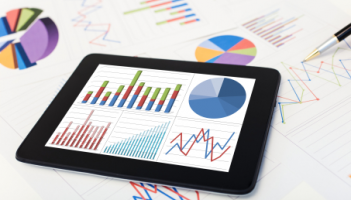 Most importantly, you must be able to adopt new KPIs as your business evolves. An add-on like Fathom will help for this effort. It is a great tool that allows you to analyze, report, and benchmark your performance across the board. It even helps you to create new KPIs and choose from an existing set of KPIs. It does not stop at that and goes further allowing you to monitor the performance against the targets that are set.